Domain blog The Domains highlighted a domain appraisal scam today all domainers should be aware of. Essentially what happens is a domain owner receives a legitimate-looking email from a prospective buyer. The sender tells the domain holder that he will buy it for a certain percentage of the appraisal price, and lists at least two places where the name can be appraised. The person isn’t looking to buy the name, but is actually a domain appraisal service looking to get business. The emails will usually list two domain appraisal sites. 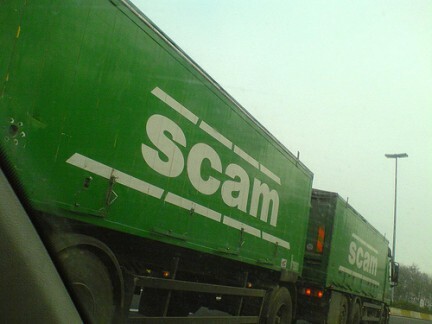 One is legitimate, while the other is a cheaper service owned by the scammer. Since human beings are inherently cheap, victims inadvertently pay the scammer for an appraisal. A number of sites are involved in the scam, the most recent of which is fleos.com. A quick WHOIS lookup shows the name is registered in Kuala Lumpur. A visit to the domain, which is registered in Kuala Lumpur according to WHOIS, reveals a cookie-cutter site made out of stock Flash template. The price for an appraisal is £14, or $22.99 USD. Other sites also part of the scam are Pozde.com, NameOrange.com, TropicalNames.com, and FlyAppraisals.com. It’s a shame to see people scammed, but at least large sums of money aren’t involved here. Remember, if it’s too good to be true, it probably is.